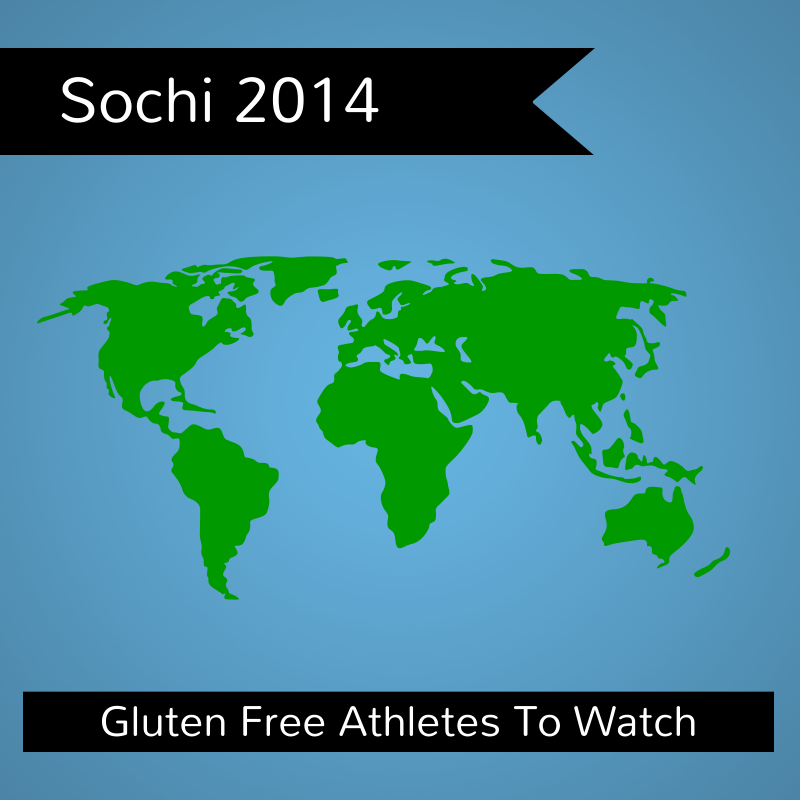 For all the debate surrounding the benefits and drawbacks of the gluten free diet, there are several athletes competing in this year's Sochi Olympics who are gluten free either due to Celiac Disease, gluten intolerance, or by choice. I personally find these athletes to be an inspiration to kids who must eat gluten free, showing them that anything is possible, regardless of their food restrictions. Christine Nesbitt: Canadian Olympic Long Track Speed Skater, diagnosed with Celiac Disease. This athlete is proof that you can thrive with Celiac Disease. Current World Record holder in the 1000 m, 2010 Gold Medal Winner in the 1000 m, and 2006 Silver Medal Winner in Team Pursuit, she is an athlete to watch. Dominique Maltais: Canadian Snowboarder Dominique Maltais, diagnosd with Celiac Disease. Dominique won a Bronze Medal in the 2006 Turin Olympics, and has won 38 individual medals at World Cup Competitions. A favourite going into this Olympics, at 33 years old, Dominique has said these Olympics will probably be her last. Here's hoping she ends her run on the podium! Dasha Gaiazova: Canadian Cross-Country Skier, diagnosed with Celiac Disease. A decorated skier, Dasha is currently one of Glutino's Gluten Free Gurus. Todd Lodwick: American Downhill Skier who follows a gluten free diet to battle inflammation. He was chosen as the U.S. flag bearer for the 2014 Sochi opening ceremonies. A 2010 Olympic Silver Medalist, this will be Todd's 6th, and likely final, Olympic Games. Brianne Jenner: Canadian Hockey Player, diagnosed with Celiac Disease. 2012 World Champion and 2012 World Silver Medalist, Brianne is hoping to be part of a medal-winning Olympic team in Sochi 2014. Share your support by following these athletes on Twitter and tweeting out your support! My Son's 5th Birthday Party was a Success! The Last Snowman Contest Winner!